Hands up, who likes forking out cash to fill up at the fuel station? What if you could do that less often? Where would you turn for help? In a recent survey by Ford Motor Company, Indian drivers were asked about their driving habits and fuel efficiency knowledge. When asked about their driving habits, 95 percent claimed they knew how to drive their car for maximum fuel efficiency, and 96 percent said they make a concerted effort to drive efficiently on a daily basis. The survey covered 9,500 drivers across 11 markets in Asia Pacific, including 1,023 Indian respondents. said Adam Smith, Vehicle Energy Management Engineering Manager and one of Ford’s top fuel efficiency experts in Asia Pacific. 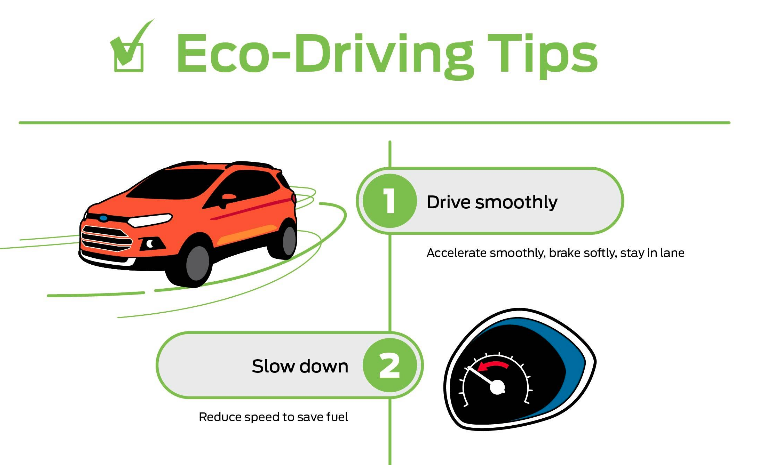 Eco-driving not only saves you fuel and money, it also benefits the environment and can make our roads safer for everyone.